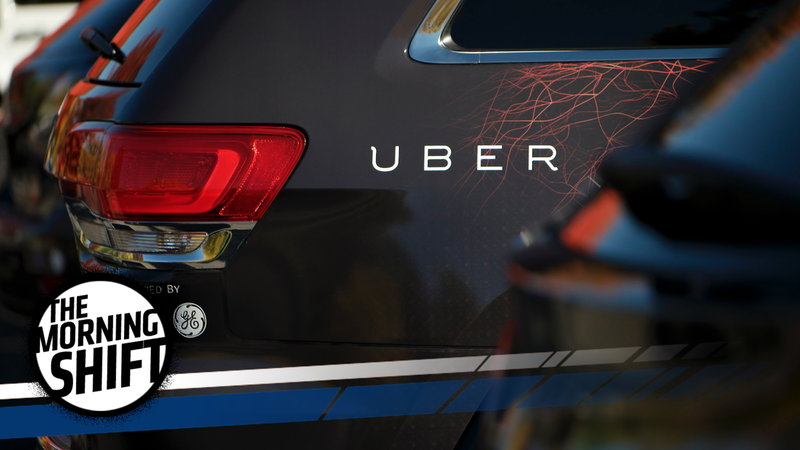 1st Gear: Will The Uber Drama Ever End? Former CEO Travis Kalanick is the ex that just won’t go away for Uber, the ride-sharing company valued at $70 billion despite a number of high-profile PR black eyes this year. On Friday, Kalanick—who remains on Uber’s board—appointed two new members to said board, surprising more than a few. Now, according to Bloomberg, the company’s directors are planning their own moves to weaken Kalanick’s influence, to be voted on by the board tomorrow. The reforms have three major objectives: create equal voting power among shareholders, move the closely held company toward an initial public offering in the next two years, and limit Kalanick’s power as a shareholder and board member. Kalanick sees the changes as poor corporate governance, meant to shift authority to Khosrowshahi and away from the board, a person familiar with the matter said. And many of the proposals — including a mechanism to push Uber toward an IPO if more than a third but less than half the board support — are indeed unusual. Uber is getting very used to “highly unusual” things. Rebuilding and recovery efforts in Puerto Rico have been hampered by a lot of things. Bloomberg reports Monday on an additional complication: the island’s reliance on cars. Not unlike most of the mainland United States, car culture in Puerto Rico is deeply ingrained, and public transportation options limited, all of which has caused some problems. Drivers desperate for gasoline are waiting for hours in lines that stretch half a mile or more. One in San Juan on Friday ran from Sixto Escobar Stadium, down the entire length of the Escambron beach, around a bluff overlooking the ocean, and past El Hamburguer and a KFC before arriving at a Shell station. Governor Ricardo Rossello has tried to tamp down any panic by giving a running tally of how many of the island’s 1,100 gas stations have reopened. (It was about 66 percent as of Sunday). And on Friday, he held out the prospect of more truck drivers to deliver supplies. “As we get more assets, we’ll be able to distribute fuel more effectively, efficiently and our expectation is to start reducing the long lines,” he said. For now, though, that is little solace to drivers still struggling to fill their tanks. Everyone whose job wasn’t blown away by Maria is anxious to get to work and get paid so they can rebuild their lives. It’s around 1.2 million cars, according to Reuters, recalled because final inspections of the vehicles weren’t made by authorized technicians. The recall only affects cars made for the Japanese market. Japan’s second-biggest automaker said the recall would cost it around 25 billion yen ($222 million) to re-inspect cars produced for the domestic market between October 2014 and September 2017, which include top sellers the Serena minivan and the Note compact hatchback. “We must take the registration framework and procedures seriously, regardless of how busy we may be or how short-staffed we may be,” CEO Hiroto Saikawa told reporters at a media conference. Saikawa added the company was investigating how and why the inspections took place, a process expected to take around a month. A third party will participate in an internal investigation into the matter, he said. Over a million vehicles is ... a lot of vehicles. It’s the first time since 2009 that that has happened, according to CarScoops. The European Automobile Manufacturers Association (ACEA) reports that petrol car sales have increased by almost 10 per cent in the first half of this year compared to the same time period in 2016. Consequently, petrol car sales now account for 48.5 per cent of all passenger car sales, 2.7 per cent more than in 2016 and greater than diesels for the first time since 2009. At the same time that petrol sales increased, demand for diesel vehicles fell. In 2016, diesels accounted for 50.2 per cent of passenger car sales but that figure has now slipped to 46.3 per cent. In the first six months of 2017, there have been 152,323 fewer diesel vehicles sold in Europe than in Jan-Jun 2016. Alongside the decreased demand for diesels, sales of hybrid, electric, LPG and natural gas-powered vehicles have increased by over 35 per cent to now represent 5.2 per cent of the total car market. Diesel has long been the king of fuels in Europe, but with widespread diesel cheating allegations there pushing the market toward electrification at an even faster rate than initially imagined, that king status not likely to last. Genesis cars have been sold alongside Hyundais in their parent company’s showrooms across the U.S. for years now. But by 2020, Hyundai wants its luxury brand to have its own showrooms, even if that means having far fewer dealers selling Genesis. The whole point? Making Genesis its own distinct marque, as Hyundai and Kia hope to make a dent in the luxury-car market dominated by European manufacturers. Genesis aims to establish shop standards by the end of this year to clear the way for independent U.S. showrooms, Genesis General Manager Erwin Raphael said. “The reality is, many, many luxury customers tell us they love our products, they’re amazing, but I’m not going into a Hyundai store to buy it,” Raphael told Automotive News​ in September on the sidelines of the Genesis G70 sport sedan launch here at the Hyundai Motor Group’s global r&d center outside Seoul. We like Genesis around these parts, and wish it well. Before the race could happen, [founder Cameron Argetsinger] needed to get permission from nine different state agencies and the New York Central railroad, which agreed to suspend train service through Watkins Glen for the afternoon so that the drivers could cross the tracks safely. (As a result, some people refer to October 2 as “the day the trains stopped.”) Twenty-three cars participated in that first race; Argetsinger and his MG finished ninth. By the end of the decade, the event was drawing 100,000 spectators each year and in 1956, after a couple of race-day accidents on the public roads, the town built a brand-new course especially for its Grand Prix. In 1961, the Watkins Glen race became the only American stop on the Formula One tour (“A biscuit,” one reporter wrote, “reincarnated as a brioche”). Neutral: When will this increasingly-boring Uber drama end? I’m thinking probably never.